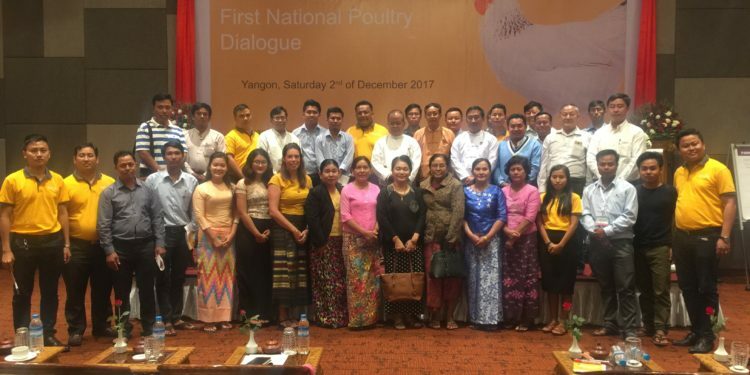 The 1st national poultry dialogue of SAPA project has been organized on 2nd December 2017. 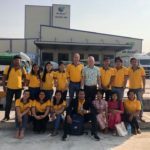 Aimed to bring all stakeholders in the broiler sector to strengthen the quality and sustainability of the Myanmar broiler sector. 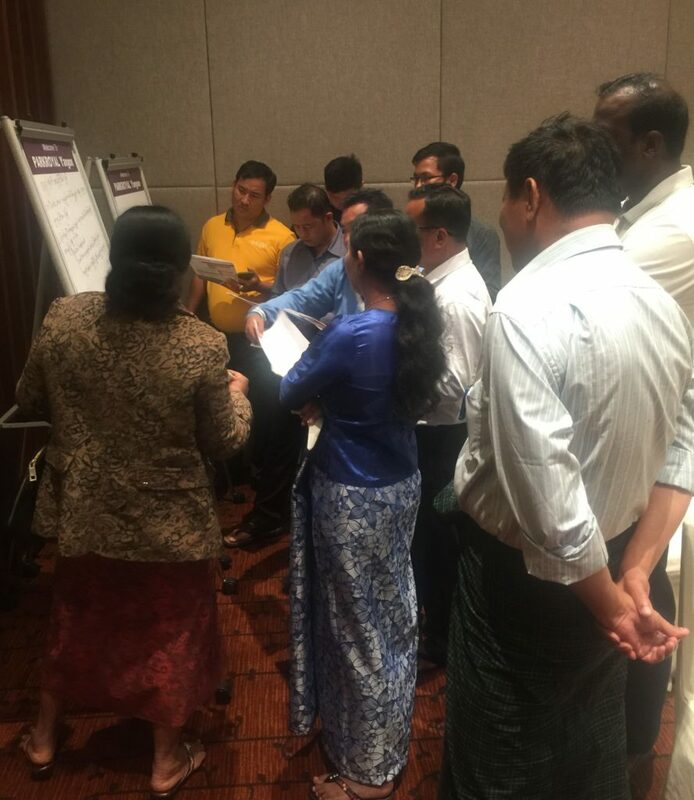 National Poultry Dialogue is mainly focus on the improvement of production, (2) the sustainability of broiler meat market, and (3) for policy recommendation for the development of Myanmar broiler sector. 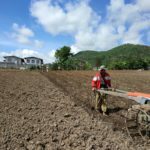 It is organized by the Myanmar Livestock Federation (MLF) as the local consortium partner of SAPA. 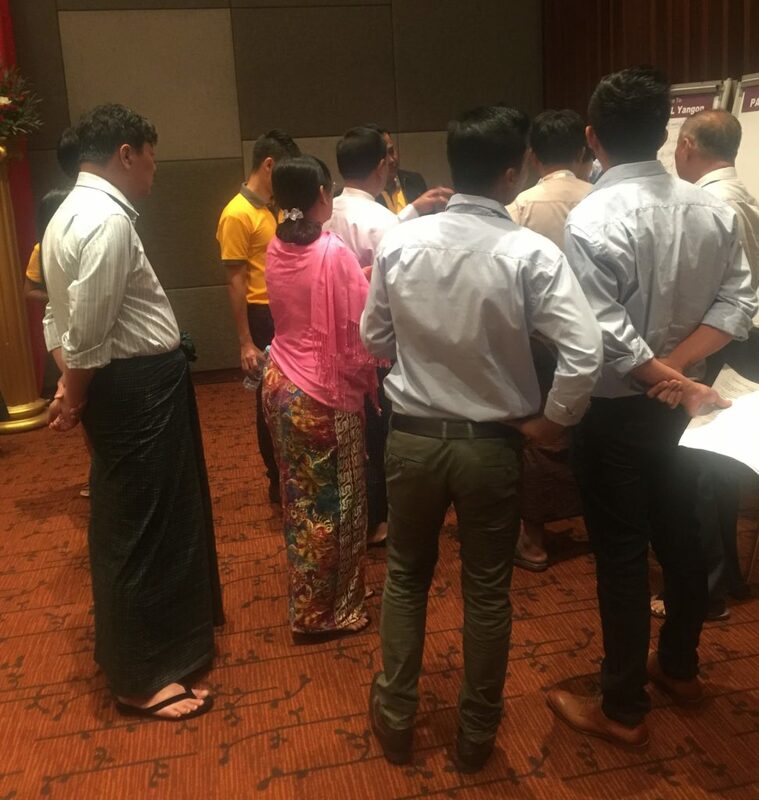 Different organizations from both public and private sector are participated including MLF, Myanmar Broiler Association, Livestock Breeding and Veterinary Department, University of Veterinary Science together with the companies from the private sector such as De Heus, JAPFA, Fresh Studio. Moreover, livestock feed dealers and farmers’ representatives are attended. 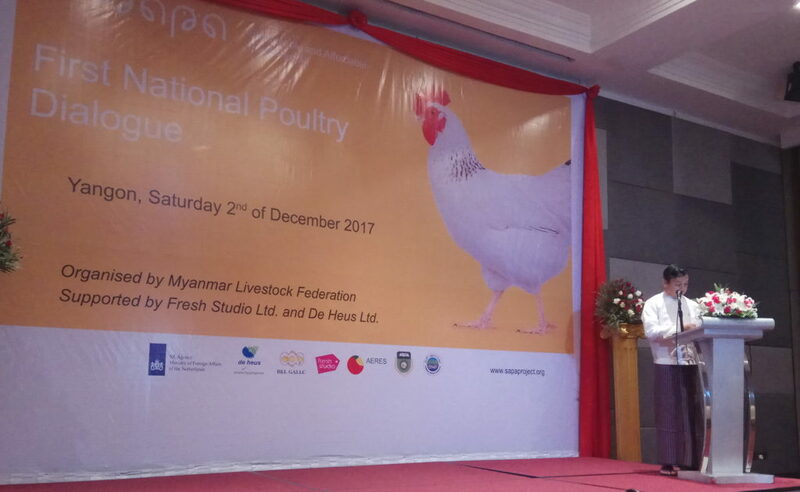 Dr. Mya Han, the president of the MLF, addressed the important of SAPA project for the development of poultry sector in Myanmar as a kind of PPP program. Dr. Kyaw Htin, the vice president of the MLF, mainly focused on the three main areas mentioned above. Ms. Esther Wintraecken, the Country Manager of Fresh Studio introduced the SAPA project and Dr. May Zin Myo from De Heus Myamar explained the SAPA standards set for Myanmar broiler sector. The second part of NPD emphasized on the round table discussion on the (1) production; (2) marketing and (3) policy recommendation. According to the discussion results, the availability of DOCs, credit problems, important of biosecurity, illegal imports of chilled chicken meat, from China and Thailand put pressure on the domestic poultry production and supply chain. Research and Development on poultry sector, effect of FDI participated on the poultry production sector, and land use policy related issues are challenging for this specific sector.